Along the popular stretch of Sentosa's Siloso Beach, Coastes offers a casual, laid-back beach setting that serves hearty beach food, premium beers and house pour spirits. Perfect spot for groups of friends and families, Coastes is all you need to soak up the sun, sand and sea while relaxing on deck chairs or sunbeds, with the water right at your feet. You just need to place your order at the counter and relax while they're preparing your food. 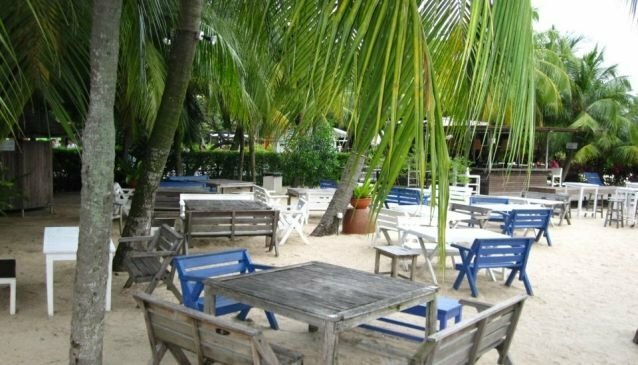 The beach bar serves mouthwatering burgers, pizzas, pastas, delicious fresh seafood but also beach bites and Asian delights such as Laksa and Chicken Curry.